Whether you need a routine maintenance check or an emergency repair on a heating or cooling unit, we are available to handle all your all your heating, cooling and ventilation needs. We will provide you with a full consultation to explain all your available options so that you can choose the system that’s right for your home or business. We serve both residential and commercial clients and offer a variety of money-saving solutions. 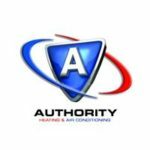 You can depend on Authority Heating and Air Conditioning.